The Indiana University East Office of Multicultural Affairs and School of Education is hosting a presentation series by Brandon Cosby, senior fellow for High School Transformation at the Center of Excellence in Leadership of Learning (CELL), on Thursday, April 10. The Hip-Hop Culture presentation on using hip-hop as a teaching tool will be at 4 p.m. and the presentation on Raising Academic Achievement will be at 6:30 p.m. Dinner is at 5:30 p.m. in the Whitewater Hall lobby. Reservations are due Monday, April 7. 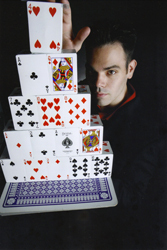 Illusionist and magician Cliff Hopkins is magical, mysterious and fascinating to watch. Hopkins will visit Indiana University East for the final 2008 Lively Arts Series performance held at 7 p.m. on Thursday, April 10 in Vivian Auditorium. Each Tuesday from March 25 to April 8, students and the community are welcome to attend several events on campus to learn more about the 2008 election, its candidates and how each person can be involved in local governments. Indiana University East Student Support Services and Fifth Freedom Network is sponsoring is sponsoring several activities on the Richmond campus during the annual Disabilities Awareness Week beginning Monday, March 24. The purpose of the event is to highlight the progress made since the passage of civil rights protections for people with disabilities and some of the barriers still remaining to quality education. Award winning author Christopher Coake will visit Indiana University East on Wednesday, March 26 for a reading at 7 p.m. in Vivian Auditorium, located in Whitewater Hall. A reception and book signing will follow the reading. The event is free and open to the public. The secret is out. The Mission IMPROVable Comedy Team is on its way to the Indiana University East campus and the assignment is to make you laugh. A team of agents will be on the Richmond campus at 7 p.m. on Tuesday, March 11. The event is free and open to the community. It’s a night of funk, soul and R&B with one of the finest collegiate popular music ensembles. IU Soul Revue returns to Indiana University East with its energetic show at 7 p.m. on February 21. The performance will be held in Vivian Auditorium, located in Whitewater Hall, and is free and open to the public. Established in 1971, IU Soul Revue is known for its musicianship and delivery of sounds of timeless R&B, soul, funk and contemporary urban black popular music. Performances feature original compositions along with arrangements of works recorded by Stevie Wonder; Earth, Wind and Fire; Patti Labelle, Kelly Price, D’Angelo, Mary J. Blige, Eric Benet and more. The Revue is a full ensemble, featuring male and female lines, horns, rhythm section, at times augmented by strings and dancers. The IU East Office of Multicultural Affairs is sponsoring the event. For more information about this event, call Tim Williams, director of Multicultural Affairs, at (765) 973-8320. For more information about events at IU East, visit the university’s Web site at www.iue.edu. Indiana University East is one step closer to naming a new mascot. The IU East mascot steering committee has narrowed the 165 different nominations to five finalists. The university is now inviting the public to vote for a favorite finalist. Join Indiana University East for the next performance in the Lively Arts Series on Thursday, February 7 at 7 p.m. in Vivian Auditorium, located in Whitewater Hall. The series is free and open to the public. Indiana University East is hosting its annual Martin Luther King Jr. Celebration on Thursday, January 17. 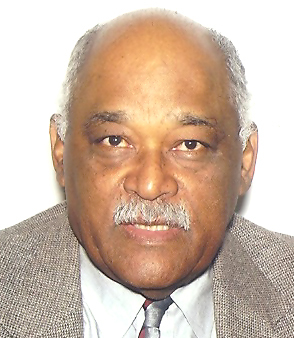 The event will feature speaker William H. Wiggins Jr., professor emeritus of African American and African Diaspora Studies and Folklore and Ethnomusicology at Indiana University.